Rarely available 3 BR 2 and 1/2 bath home with one car garage. 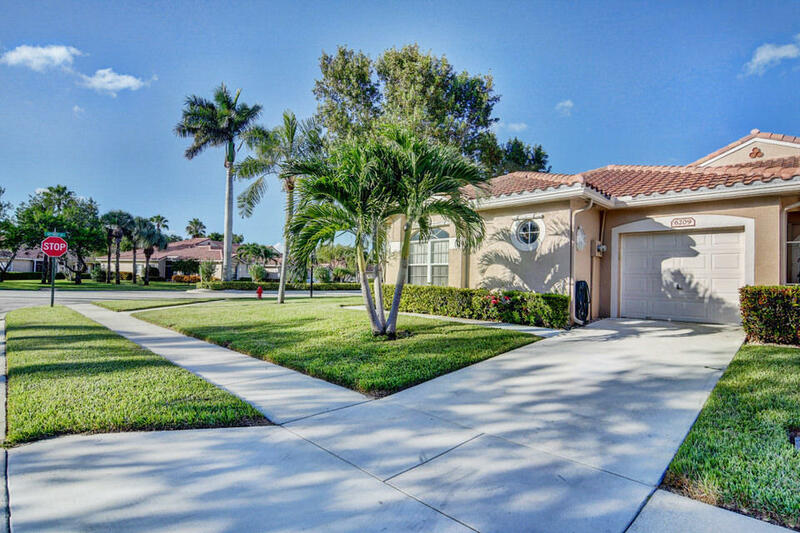 This lovely home is located in Aberdeen Isles which is a gated community in the NON COUNTRY CLUB area in Aberdeen. This home is located on the corner and has tiled floors in the living areas and carpet in the bedrooms. This is a true 3 bedroom home with closets in all bedrooms. Kitchen has laminate wood floors, updated appliances and wood cabinetry. The great room is open and bright with access to the screen patio. The master bedroom is large with 2 walk-in closets. You have an on suite master bath with tub and shower. The community has amenities such as club house, pool, tennis courts, exercise room, game room and manager on site. Don't miss this opportunity to own this rarely available villa. Priced under appraised value.